However, when the customer experience is disconnected between search, social and email – then you’re simply throwing money away. Shoutlet reached out to me about doing a webinar with DJ Waldow on this topic and of course I said yes. DJ is a high energy, creative and very knowledgable marketer, especially when it comes to social and email marketing. This post will recap some of that webinar, which you can listen to in full here, on the Shoutlet website. I’ve also added a lot more context and tips we didn’t have time for. What are some of the key ways social impacts search visibility and performance today? Overall, it’s important to understand that viewing the relationship between search and social media tactically can be a very misleading thing. Often times, marketers at companies and especially consultants, tend to recommend what they know best or can most readily be implemented, even if it isn’t the best thing to do. This is to check a box “complete” to show progress. Strategically, there are many ways social media impacts search and I think the most effective perspective is to view the relationship in terms of the customer journey vs. which tactic is better or which social media trick will get you a higher ranking. As if that’s even possible anymore. Google has flip flopped on this starting in 2010. Matt Cutts stated social signals are not factored in May 2010, then in December of the same year he said they did. Then in January 2014 he stated they do not use social signals for ranking. The only constant in search engine marketing is change. It’s interesting to note that Google also added and then removed Author avatars from validated Google+ profiles. Authorship was a hot topic for many in the SEO community as a way to optimize the SERPs (search engine results pages) experience for users. Now that so many people implemented it, Google has taken the feature away. Here’s the thing about social media and SEO: Google treats public web content that can be crawled pretty much the same – whether it’s a blog post, a magazine article, a Twitter update or a public Facebook post. If it can be crawled by Google, it’s a factor that can have an impact on search inclusion, search visibility and search result experience. Social has a more of an indirect impact on search. Outside of public social content that can be crawled and indexed, the way to think about social media impact on search visibility is through the indirect impact. As you create more content that is useful to customers and is topically in-line with what they are looking for, more people will find and share. This cycle of find, consume and interact will grow your networks. Consistently producing and promoting optimized, useful content to your networks increases exposure and network size at the same time. As the network grows, so does link attraction and 3rd party signals pointing in your direction. Optimize for social search. Also, keep in mind social channels have search functions too. 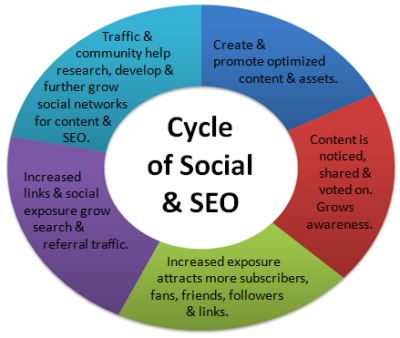 SEO keyword use applies to content within social content for use by their internal search engines. If any of that content is public and can be crawled by search engines like Google or Bing, it can be a factor for public ranking on Google.com as well. Content is a huge part of marketing now, and it goes hand-in-hand with social. What role do you see content playing in affecting search? Content is the reason search exists and it’s what people create and share on the social web. The content companies and organizations produce is how Google makes it’s money – by running ads next to our content. Making our content easy for search engines to find, copy, organize and sort benefits Google (better contextual ad matching), it benefits companies (brand content is easy to find when consumers need it most) and it benefits users (useful information is just a Google search away). 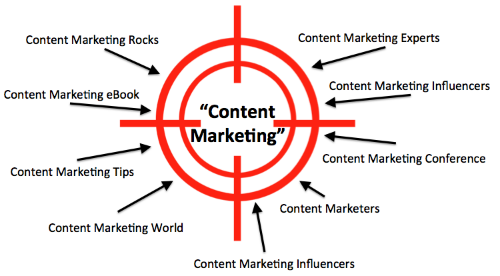 From a marketing perspective, content marketing is about the customer information journey. Discover, Consume, Act. Creating content just for better search engine visibility completely ignores the most important audience for our content: humans. And last time I checked, it’s people that pay companies for product and services, not Google.com. To be effective, content needs to be accountable to how it will Attract, Engage and Convert customers. The SEO impact is relevant to making a brand’s content become the best answer wherever buyers are looking, especially in search. The mistake many content marketers make is to develop amazing content without any consideration for how the target audience will search to find that kind of content. Alternatively, SEOs often over-prioritize the value of optimization compared to content utility and user experience. The only thing worse than no SEO is all SEO. A good example of the kind of content that’s accountable to Attract, Engage, Convert relevant to SEO and social media are the conference eBooks we create. 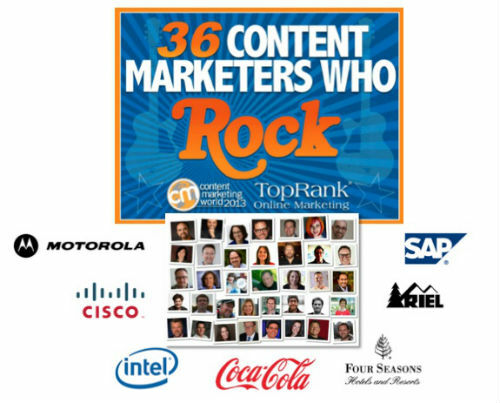 For Content Marketing World last year, we created an eBook about content marketers “who rock” with major brands and thought leaders as contributors. The impact on search visibility was that the content attracted significant keywords references and organic links. All links were attracted through great content and a small amount of outreach. The impact on social media visibility and engagement was through the participating thought leaders and influencers relevant to the topic of content marketing, talking about and sharing links to the content marketing eBook with their communities. With each attraction and engagement of a potential customer, there’s an opportunity to “convert” them to the next step, whatever that might be. Offering the option to get more in-depth information via email is an ideal way for interested visitors to get introduced to your company’s products and services through useful content. Getting social, SEO and Email to work together is a matter of how you view the business and marketing goals you’re after. By understanding the customer journey as they use social media to discover, search engines to validate, and email to commit to learning more, companies can be far more effective at planning an integrated content marketing program. Creating a great customer experience across channels from Google to Twitter to the email communications will help achieve multiple business goals including customer acquisition, revenue and retention. Integrated marketing in action is to be the best answer, wherever your customers are looking. It’s really difficult to create a consistent customer experience across channels if content, search optimization, social media and email marketing efforts are not integrated. 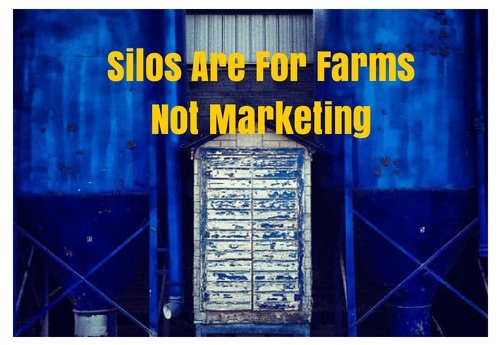 Leave the silos to the farmers and focus on optimizing your content and networks to become the best answer, wherever your customers are looking. There’s far more to this topic than what I’ve discussed here and both DJ and Teresa provided highly valuable insights into business objectives based marketing and the roles of social listening, email and social media alignment, They also had great examples of brands using social and email and further insights into breaking down silos between these marketing disciplines.